Yemeni armed forces arrived at their third district in Hodeidah west of Yemen amidst a notable and strategic advancement for the third day in a row. This progression is heavily backed by Arab-led coalition fighters led by Saudi Arabia, in the midst of a rapid fallback of the Houthi militia. 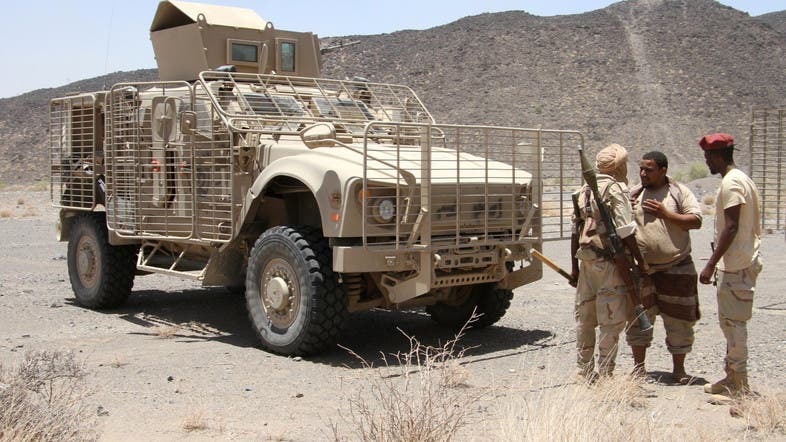 The official Yemeni news agency confirmed that the Yemeni army was able to regain control of the Hays, al-Khokha triangle on Saturday evening, and began to enter the directorate of al-Tahita, the third district of Hodeidah. The news agency quoted army sources saying that the national army has seized the district of Hays which is only 10 kilometers away from al-Khoukha. The sources also confirmed regaining control of farms and roads in northers Hays. According to sources, the army has also entered the coastal directorate of al-Tahita and reached the al-Fazah farms in rural Zabid. Houthi militias are quickly disintegrating on the west coast amidst battles with the Yemeni army and the Arab-led coalition to liberate Hodeidah. According to civilian sources, there are large breakdowns in the Houthi frontlines. Tens are dead or injured while others have run away. The Houthis have been in control of Hodeidah for the past three years following their coup, and have used its long coast lines to smuggle weapons coming in from Iran. Its ports are also an important source of economic support for the militia to continue its war against the Yemenis. They also use them to steal relief attempts and to threaten international navigation.